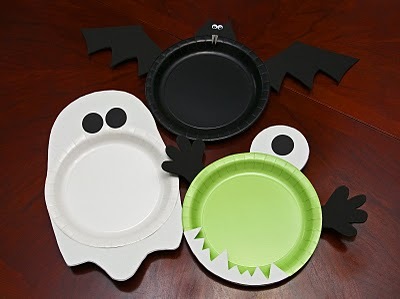 Turn plain, solid color paper plates into fun Halloween plates with just a little bit of constructions paper. Kristin has given you templates for a bat plate, a ghost plate, and a monster plate to make it even easier. These are fun for a Halloween party or even a Halloween craft for your little one! You can get the Halloween plate templates over at Life in Wonderland.